The Clairton Sportsmen rifle discipline is a very active and varied facet of our club. The outdoor covered range has 10 firing benches with targets at 50, 100 and 200 yards. This range offers a great place to sight in rifles, muzzle loaders, pistols, and shotguns (slugs ONLY). The rifle range is open to all members and their guest year round from 9:00 A.M. till dusk with the exception of November when No Guests are permitted. This range allows the use of paper targets only. The use of metallic swinging targets is permitted but for .22 rimfire only. Also note: The use of any rifle in caliber .50 BMG is prohibited on any range. From the benches we host .22 rimfire silhouette matches, a cast bullet program and special holiday shoots. Note that during scheduled matches the benches are closed to open shooting however the use of the upper rifle/pistol range is permitted at these times. The 200 and 300 yard Competition Range is located to the left (east) of the covered range. The Competition range offers 10 firing points has target carriers and is open only under the direct supervision of a director or designated range officer. 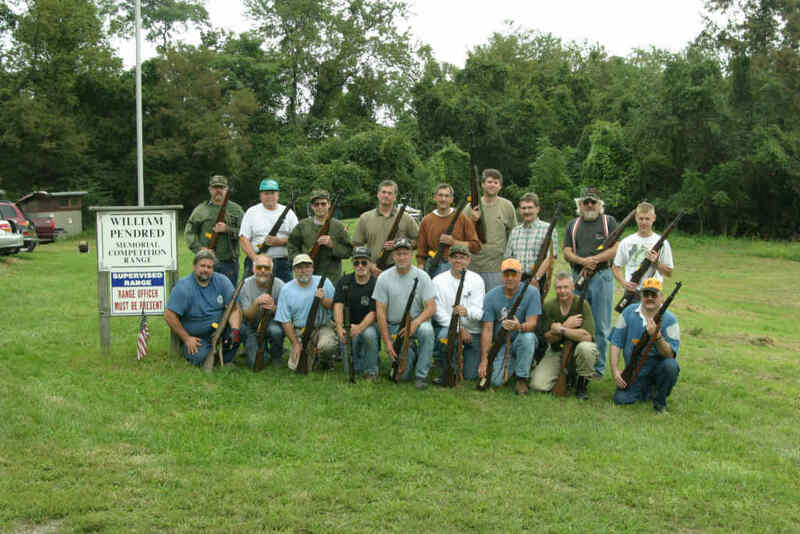 CSC is affiliated with the Civilian Marksmanship Program, the NRA and the PA State Rifle and Pistol Association. NRA high power league matches, Civilian Marksmanship Program (CMP) matches and various other rifle matches are held beginning in the spring thru the early fall. Please check the rifle schedule for the dates and additional information. Also note that when the competition ranges are in use the covered rifle range as well as the walk through muzzleloader ranges are closed for safety. The use of the upper pistol/rifle range is permitted at these times. A walk through muzzleloader range is located in the woods to the far left of the covered range and offers a unique shooting experience. Black powder / lead round ball only. 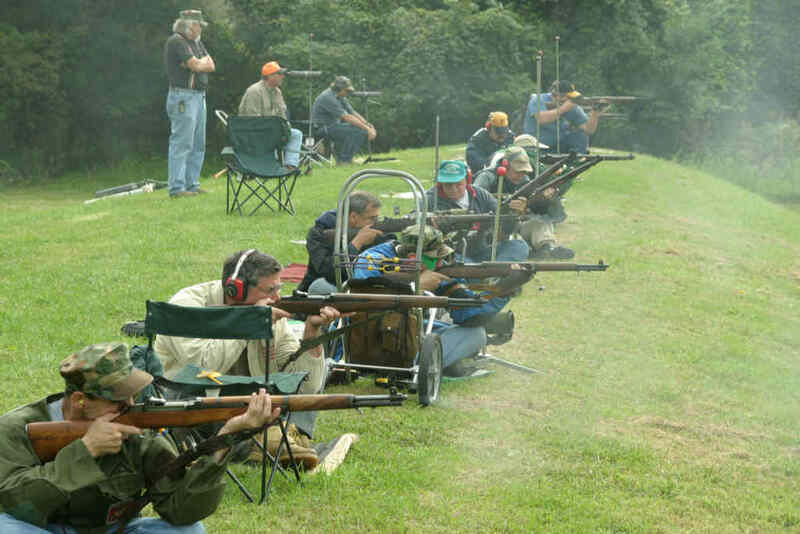 Black powder shoots are held the fourth Sunday of each month throughout the year. Please see the muzzleloader section for additional information and firearm restrictions. Please review all match programs for the dates the current ranges are in use. All firearms are to be kept pointed down range. Before proceeding forward of the firing line, all firearms must be down, actions open and safeties on. Once the line is safe, the range safety sign (forward of the benches) must be raised indicating persons are down range. No handling of any weapons while individuals are down range. Paper targets and metallic silhouette targets ONLY. No cans, bottles, ballons, rocks, etc. (Use common sense, if you would not want this in your yard, we do not want it here either) *Note: Special club functions are exempt from the target requirement and allow for the safe use of other style targets. a. The metallic targets must be placed in a safe area immediately in front of the target boards of your firing lane (not to exceed 18 inches from the target frames). b. Must be designed for the caliber of rifle being fired. d. Must be removed from club grounds when you are through. No loading of firearms behind the firing line. Clean up after yourself, remove all targets used, pick up spent brass and dispose of it properly, and place no live rounds in the burn barrel.